Shree Sanatan Dharm Seva Ashram "Trust"
Founded to serve and save humanity in our society, Works of this organization is to built Cow Shelters, Vedic Schools, Make Available Food for Life, Free Legal Advise for society, Free Medical Checkup, Blood Donation Camp, Helping adiwasi for making shelters, Celebrating National and Religious Festivals, Organizing Srimad Bhagwat Katha, to build Seniors Home, Temple Construction, Temple Renovation etc. Your share could be as good as a donation for Shree Sanatan Dharm Sevashtram 'Trust'! Not everyone can afford to take care of their loved ones. 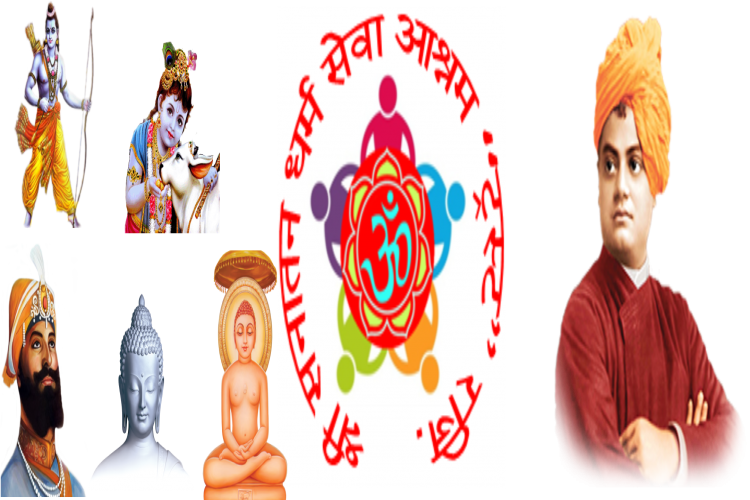 Shree Sanatan Dharm Sevashtram 'Trust''s life can only be saved by donations made by kind people like you.